After being awarded funding from unionlearn for a Celebration of Learning event the UNISON team decided to offer £1 voucherfor the next meal in the depot cafe for anyone completing a survey, for those who took the challenge to constructed a peg car £5 vouchers were given if it rolled – lots of people had a go, but the regional offering was certainly not roadworthy! 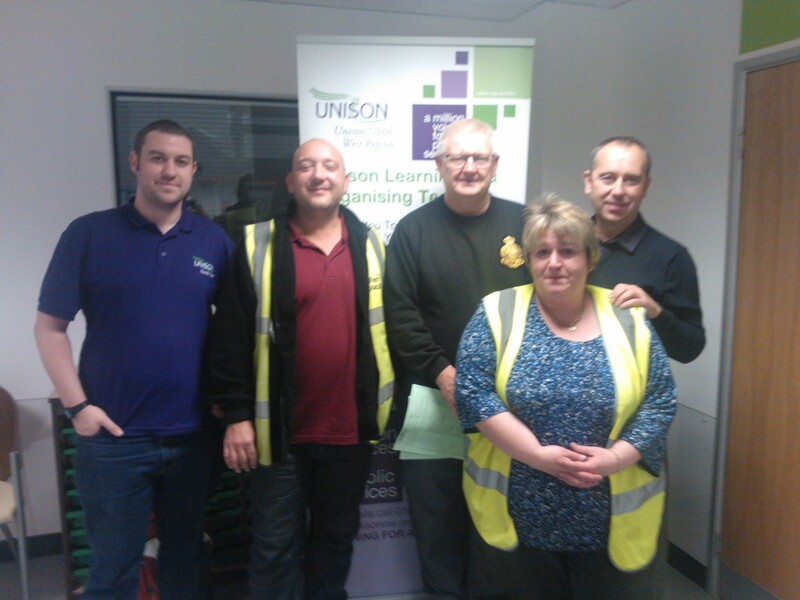 Some of the Wigan branch team on the day. Tracy on the right of the picture. This entry was posted in Learning and organising, Lifelong Learning, News. Bookmark the permalink. Comments are closed, but you can leave a trackback: Trackback URL.